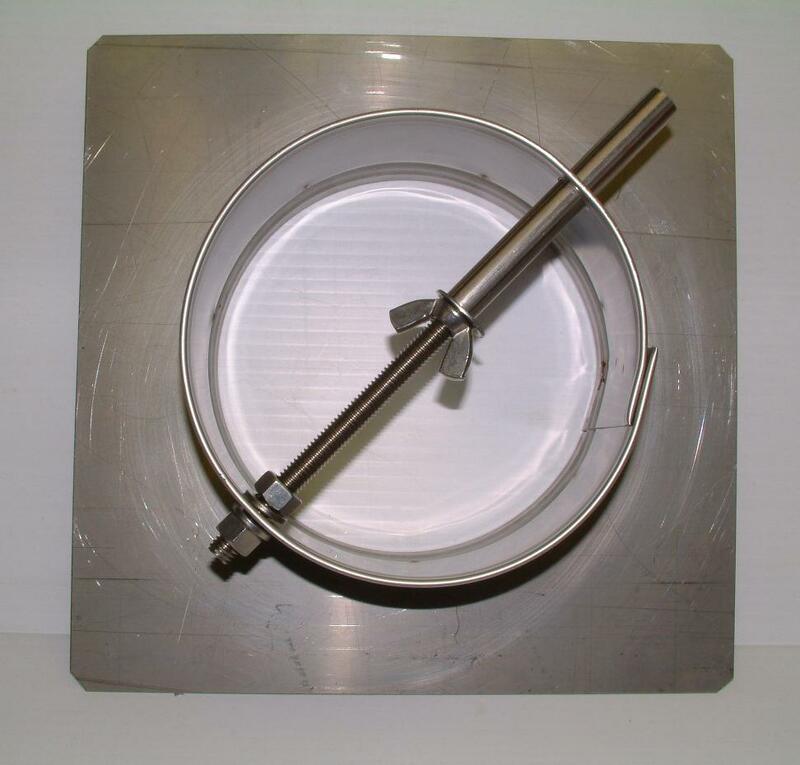 $184.95 - VSS6-AD-S5... 6 inch Vacu Stack WITH Adaptor and 1/2" factory installed spark arrestor mesh. Shipping Included. $198.99 - VSS7-AD-S5... 7 inch Vacu Stack WITH Adaptor and 1/2" factory installed spark arrestor mesh. Shipping Included. 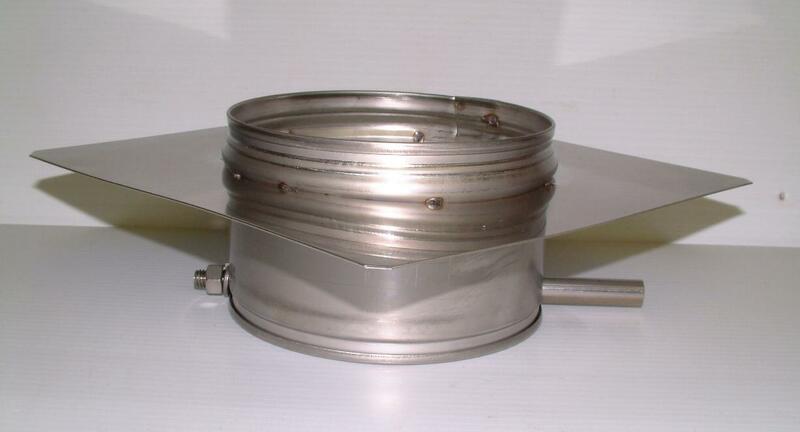 $263.95 - VSS10-AD-S5... 10 inch Vacu Stack WITH Adaptor and 1/2" factory installed spark arrestor mesh. Shipping Included. 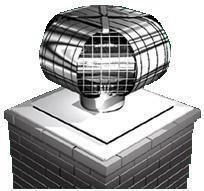 $212.95 - VSS812-AD-S5... 8x12 inch Vacu Stack WITH Adaptor and 1/2" factory installed spark arrestor mesh. Shipping Included. 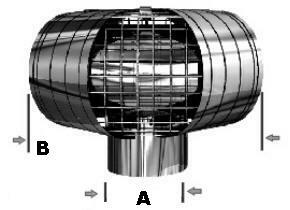 Above are options to fit the 3 most common clay flue sizes. Please call us to order any other size. 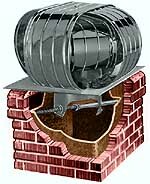 An adapter is required for square, round or rectangular masonry chimneys. 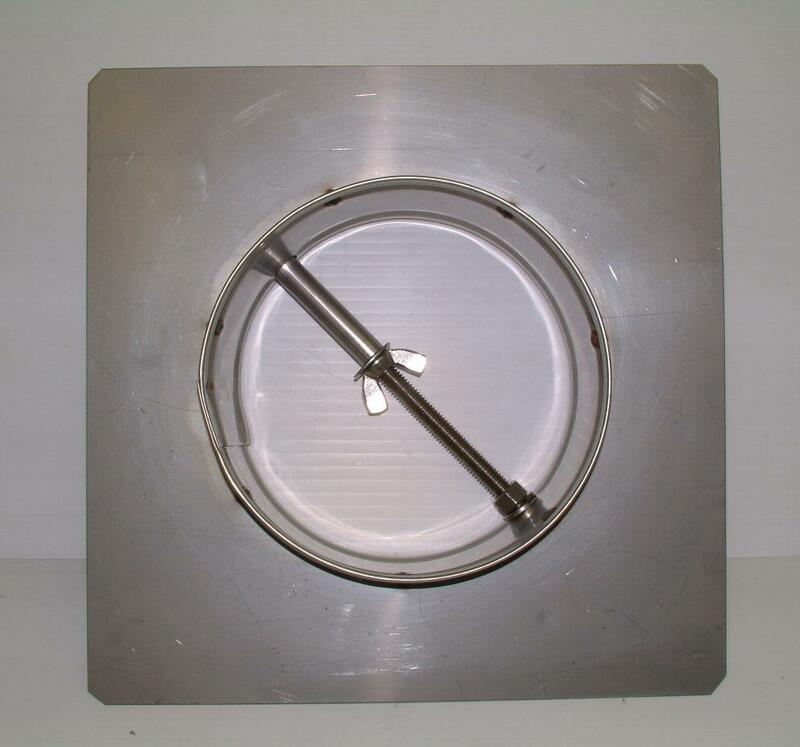 A patented fastening device secures the adapter to the chimney flue. Vacu-Stack caps fit inside the adapter collar. Silicone caulking must be applied to seal seams and joints. Masonry, brick or clay liners need to be measured by its INSIDE measurement. Older "clay" liners and newer ceramic liners will vary in their inner and outer measurements. 8x8, sometimes called a 9x9 6" x 6" 7 1/2" x 7 1/2"
12x12, sometimes called a 13x13 10" x 10" 11 1/2" x 11 1/2"
8x12, sometimes called a 9x13 6" x 10" 7 1/2" x 11 1/2"